Charming 2 bedroom rancher in prime Hope location walking distance to schools, town center & river trails. Small but private back yard offers fencing, patio/BBQ area off side door, storage room at back of home & side lane access. Home has had renovations that include flooring, vinyl windows, paint, & roof all of which were done within the last approx. 5 years or less Front veggie garden planted and fully irrigated. 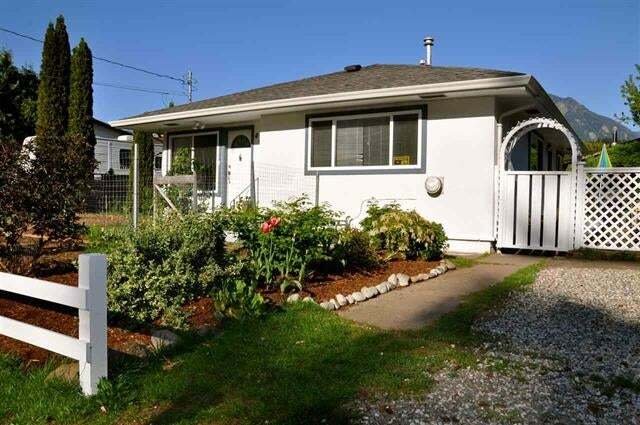 This is a great investment property, for first time home owners, retirees or weekend getaway home. Great alternative to strata living, or for those looking for a weekend home that's move in ready. Floor Area 880 Sq. Ft.